Many people start to feel pain and stiffness in their bodies over time. Sometimes their hands or knees or shoulders get sore and are hard to move and may become swollen. These people may have arthritis. Arthritis may be caused by inflammation, of the tissue lining the joints. Some signs of inflammation include redness, heat, pain, and swelling. These problems are telling you that something is wrong. It’s true that arthritis can be painful. But there are things you can do to feel better. This booklet tells you some facts about arthritis and gives you some ideas about what to do, so you can keep doing many of the things you enjoy. There are several types of arthritis. The two most common ones are osteoarthritis and rheumatoid arthritis. Osteoarthritis is the most common form of arthritis. This condition usually comes with age and most often affects the fingers, knees, and hips. 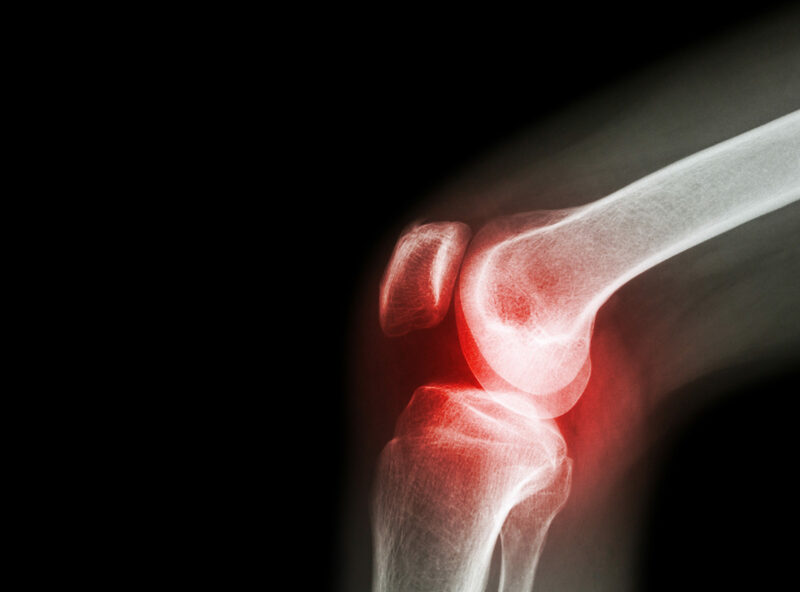 Sometimes osteoarthritis follows an injury to a joint. For example, a young person might hurt his knee badly playing soccer. Or someone might fall or be injured in a car accident. Then, years after the individual’s knee has apparently healed, he might get arthritis in his knee joint. Gout is another common type of arthritis. It is caused by crystals that build up in the joints. It usually affects the big toe, but many other joints may be affected. Lupus, in which the body’s defense system can harm the joints, the heart, the skin, the kidneys, and other organs. Go see a doctor. Many people use herbs or medicines that you can buy without a prescription for pain. You should tell your doctor if you do. Only a doctor can tell if you have arthritis or a related condition and what to do about it. It’s important not to wait. You’ll need to tell the doctor how you feel and where you hurt. The doctor will examine you and may take x rays (pictures) of your bones or joints. The x rays don’t hurt and aren’t dangerous. You may also have to give a little blood for tests that will help the doctor decide what kind of arthritis you may have. How Will the Doctor Help? After the doctor knows what kind of arthritis you have, he or she will talk with you about the best way to treat it. The doctor may give you a prescription for medicine that will help with the pain, stiffness, and inflammation. Health insurance or public assistance may help you pay for the medicine, doctor visits, tests, and x rays. How Should I Use Arthritis Medicine? Before you leave the doctor’s office, make sure you ask about the best way to take the medicine the doctor prescribes. For example, you may need to take some medicines with milk, or you may need to eat something just before or after taking them, to make sure they don’t upset your stomach. You should also ask how often to take the medicine or to put cream on the spots that bother you. Creams might make your skin and joints feel better. Sometimes, though, they can make your skin burn or break out in a rash. If this happens, call the doctor. What If I Still Hurt? Do some gentle stretching exercises. Use an ice pack on the sore area. If you still hurt after using your medicine correctly and doing one or more of these things, call your doctor. Another kind of medicine might work better for you. Some people can also benefit from surgery, such as joint replacement. Try to keep your weight down. Too much weight can make your knees and hips hurt. Exercise. Moving all of your joints will help you. The doctor or nurse can show you how to move more easily. Going for a walk every day will help, too. Take your medicines when and how you are supposed to. They can help reduce pain and stiffness. Try taking a warm shower in the morning. Seek information that can help you. Go to the Arthritis and Rheumatism health topic.